The luxury Cambria wall hung Toilet with soft close seat from Premier. Manufactured from high grade vitreous china with a fabulous smooth white gloss finish, the Cambria range of bathroom sanitary ware is characterised by its modern soft square design. Supplied with a high grade urea soft close seat. 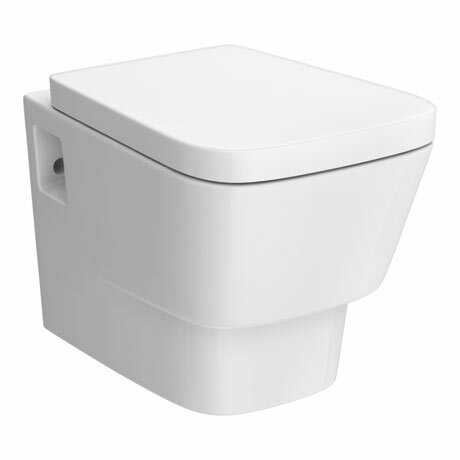 Suitable for use with the concealed cistern wall hung frame XTY005 (sold separately). Q. What are the fixing bolt centres? Hi Dave, the fixing bolt centres are 135mm on this soft close toilet. Thanks!